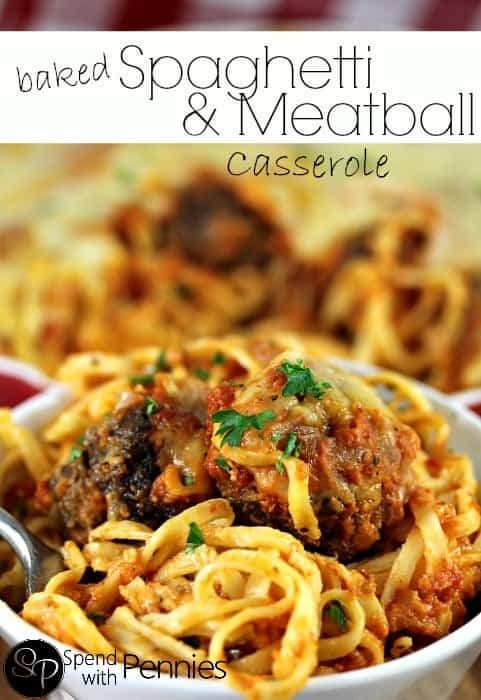 We LOVED this easy Baked Spaghetti Casserole with Meatballs! The noodles are tossed up with a cheesy sauce and then topped with homemade meatballs and pasta sauce! 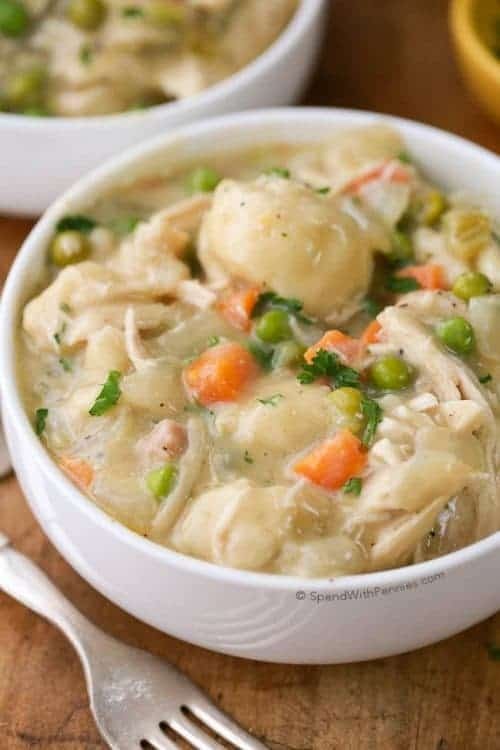 This is a great meal for a cold night, it makes the perfect comfort food!! 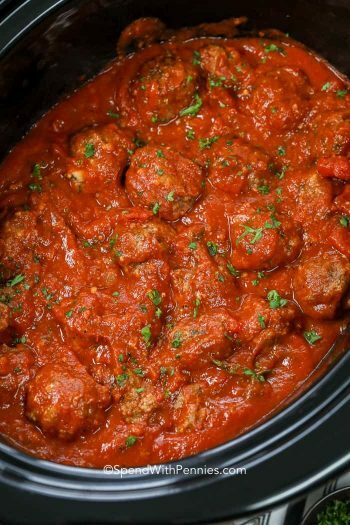 Our family has always loved spaghetti casserole but once I decided to throw in some meatballs, I don’t think I’ll have it any other way from now on! 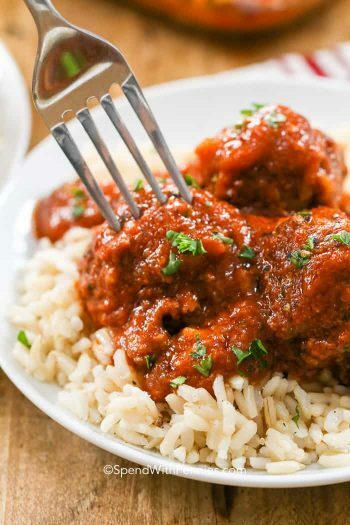 If you are in a rush, you can use frozen (defrosted and cooked) meatballs but it really is worth it to make them fresh! 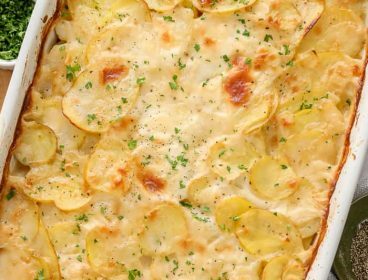 This casserole is even better served the next day so if you have leftovers, don’t throw them out! You’ll thank me for that later. 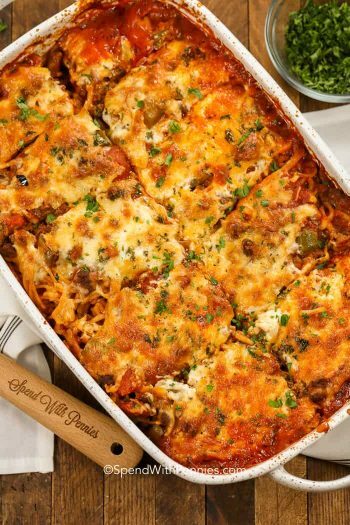 We LOVED this easy Baked Spaghetti Casserole with Meatballs! The noodles are tossed up with a cheesy sauce and then topped with homemade meatballs and pasta sauce! Grease a large casserole dish. Preheat oven to 400 degrees. 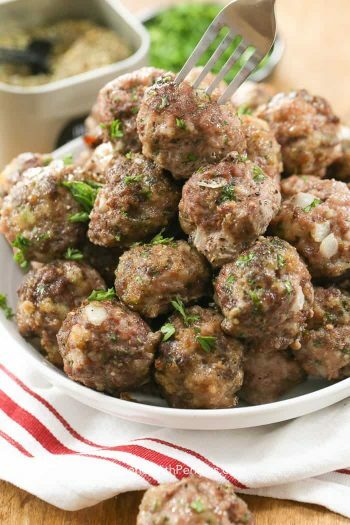 Combine all meatball ingredients and form into 1″ balls. 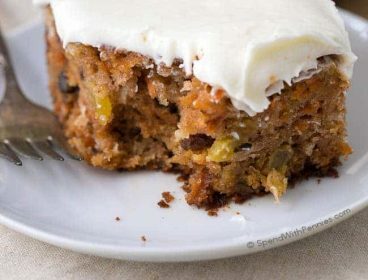 Place on a foil lined pan and bake 18-20 minutes. 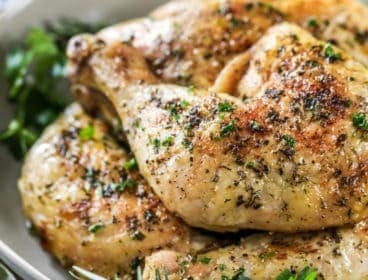 Remove from oven and reduce heat to 350 degrees. Boil the pasta until just al dente (about 3 minutes for fresh pasta). Drain and toss with olive oil. Stir together egg, parsley, pepper, 1/2 cup mozzarella cheese, 1/4 cup parmesan cheese & pepper to taste. Toss with the pasta and place in prepared dish. 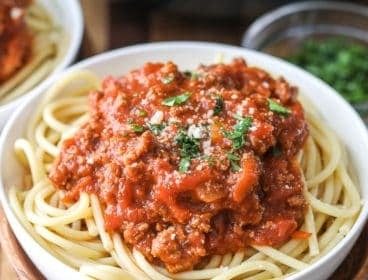 Top with meatballs and pasta sauce. Cover with foil and bake 35 minutes. 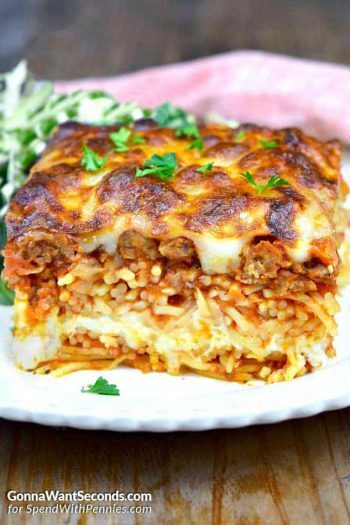 Remove foil, top with remaining cheeses and continue to bake until cheese is melted and browned. © SpendWithPennies.com. Content and photographs are copyright protected. 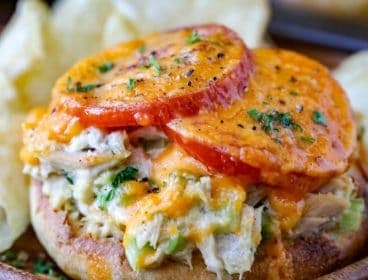 Sharing of this recipe is both encouraged and appreciated. 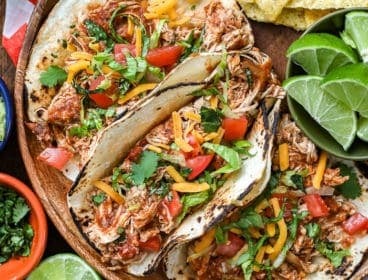 Copying and/or pasting full recipes to any social media is strictly prohibited. Please view my photo use policy here. 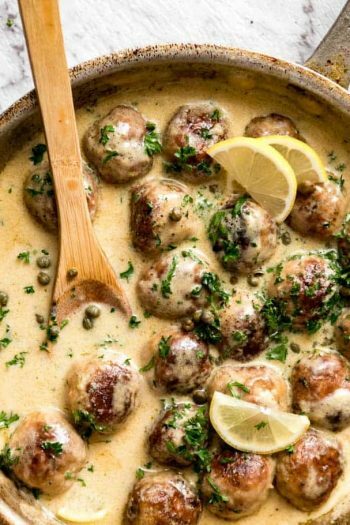 Creamy Lemon Chicken Piccata MEATBALLS!